How to recover whats app database from phone memory - android? How to recover whats app database from phone memory – android? More and more android users are tend to use WhatsApp as their chat tool, as WhatsApp Messager lets you send unlimited messages to contact anywhere. However, some of Android users recently encountered a weird problem that WhatsApp messages went disappeared without deleting. – Backup your current WhatsApp chat history. Any new messages sent/received after a backup, and deleted before the next backup, cannot be restored. – Uninstall WhatsApp. Navigate to Settings > Applications > WhatsApp > Uninstall. Then reboot Android device. – Reinstall WhatsApp. Open WhatsApp and continue to the next screen step by step. Then verify your phone number. – Restore WhatsApp messages. Hit the “Restore” button when prompted. WhatsApp chats older than seven days old are slightly more difficult to restore. 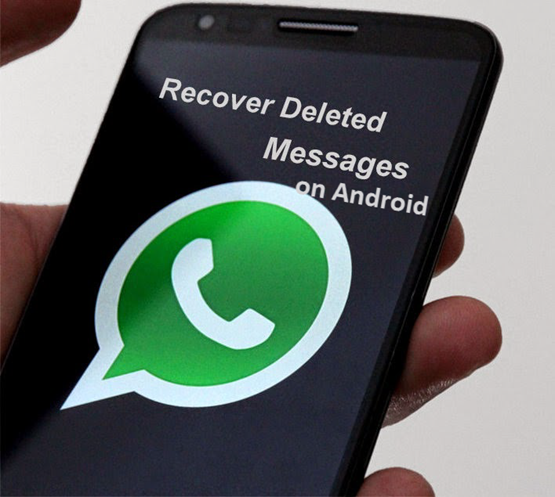 Here we offer the other two options to retrieve deleted WhatsApp messages on android devices. – Rename “msgstore.db.crypt”, adding “OLD” or something similar to the file name. – Find file from before you accidentally lost everything and rename it “msgstore.db.crypt”. – Back to your android device, then uninstall and reinstall WhatsApp in the same way as part 1. Note: Restoring older WhatsApp chat as above will erase current messages. You can recover new messages by repeating the process above.